The leading lights in British athletics will be going for gold this weekend at the 35th European Athletics Indoor Championships. More than 600 athletes, 48 of whom hail from Britain, are set to compete at the three-day event in Glasgow’s Emirates Arena – and with 18 reigning British indoor champions in the mix, hopes for Team GB are high. So which Brits are in with a shot of claiming European titles in 2019? What will the podium-toppers receive? Read on to discover more about this exciting sporting event. The 2019 Championships – Who Will British Fans Be Cheering On? The British squad for the championships consists of 26 women and 22 men, and includes both seasoned international competitors and newcomers hoping to make an impression on the European stage. One contender who already has an array of athletics trophies in her display cabinet is Laura Muir, the Scottish middle-distance runner. Muir won both the women’s 1500m and women’s 3000m in the 2017 championships in Belgrade, and is aiming to complete what’s known as “the double-double” – that means securing consecutive victories in both of her events. Asha Philip, the reigning European indoor women’s 60m champion, will be attempting to defend her title in Glasgow. Andrew Pozzi, whose fitness had been in doubt, has also now confirmed that he will be competing in the 60m hurdles, an event that he won in 2017. Meanwhile, Richard Kilty, who triumphed in the men’s 60m in both 2015 and 2017, will be seeking to secure his third back-to-back European indoor title. Kilty didn’t meet the qualifying standard set by UK Athletics, the sport’s governing body within the United Kingdom, so wasn’t initially named as part of the British team, but the European Athletics Council (EAC) offered him a wild card, enabling him to compete in the event. Other British athletes heading to Glasgow this weekend include: Katarina Johnson-Thompson, the 2018 world champion in pentathlon, who won the European indoor title in the same event in 2015; Holly Bradshaw, who pole-vaulted to victory in the 2013 edition of the championships; Chris O’Hare, who picked up a bronze medal in the 1500 metres in Prague in 2015 but who’ll be competing in the 3000m this year; and Joe Reid, the newly-crowned British indoor men’s 800m champion, who’ll be the first person from the Isle of Man to appear at a major competition of this type as part of the British team. The Championship Medals – What Will The Winners Have Placed Around Their Necks? This year, the first, second and third-placed athletes in every event will each receive a stunning medal, the design of which has been inspired by Glasgow’s connection with the construction industry. 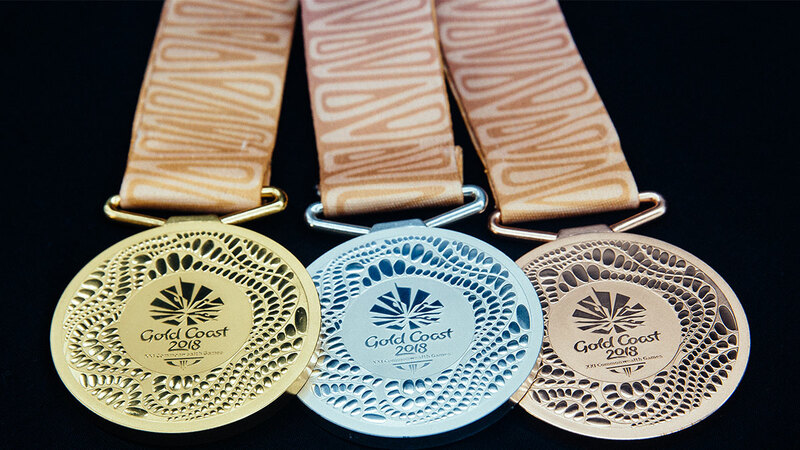 The medals, which were crafted by Andrew Fleming, a silversmith and artist in residence at Glasgow School of Art, were publicly unveiled by the championships’ organising committee earlier this month. They have a distinctive rectangular shape and feature an eye-catching pattern created from overlapping lines. How many of these striking medals do you think Team GB will bring home from the 2019 European Athletics Indoor Championships? Will you be in Glasgow to support the British squad? Tell us what you think about the event in the comments section or chat to us on Facebook or Twitter.